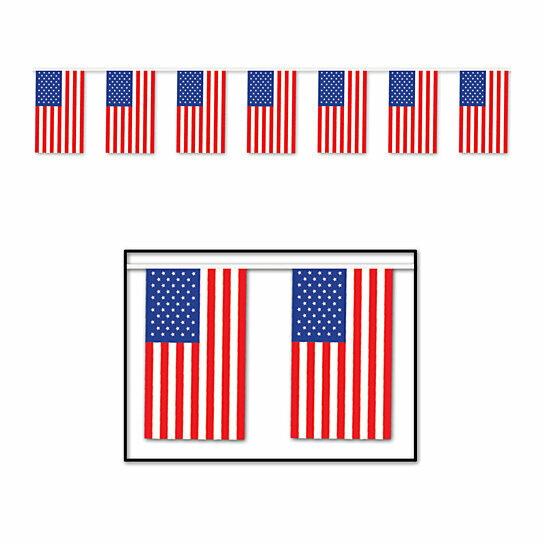 Outdoor American Flag Banner all-weather; 30 flags/string 17" x 60'. Sold as 12 Pack. One Banner per Package.